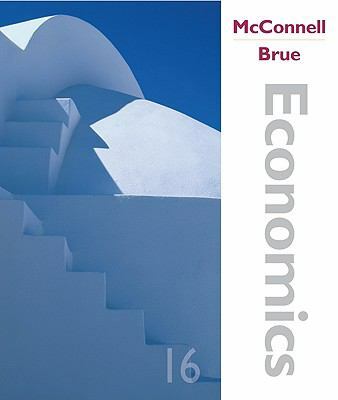 by McConnell, Campbell, Brue, Stanley L.
McConnell, Campbell, Brue, Stanley L.
Economics has become a bestselling text through its step-by-step introduction to both micro- and macroeconomics. This package contains a book and two 40-minute DVDs, which feature the bestselling tutorial software DiscoverEcon as well as all-new videos with Paul Solman of "The News Hour with Jim Lehrer." Three bonus chapters are available online for further information, while lively vignettes give life to central themes.McConnell, Campbell is the author of 'Economics ', published 2004 under ISBN 9780072982718 and ISBN 0072982713.